Mary is the bawdy bundling school proprietor infamous throughout every Amish community for her sometimes blasphemous business dealings. Known for her persuasive personality, Mary has teamed up with Merlin after he's wounded in Indiana. 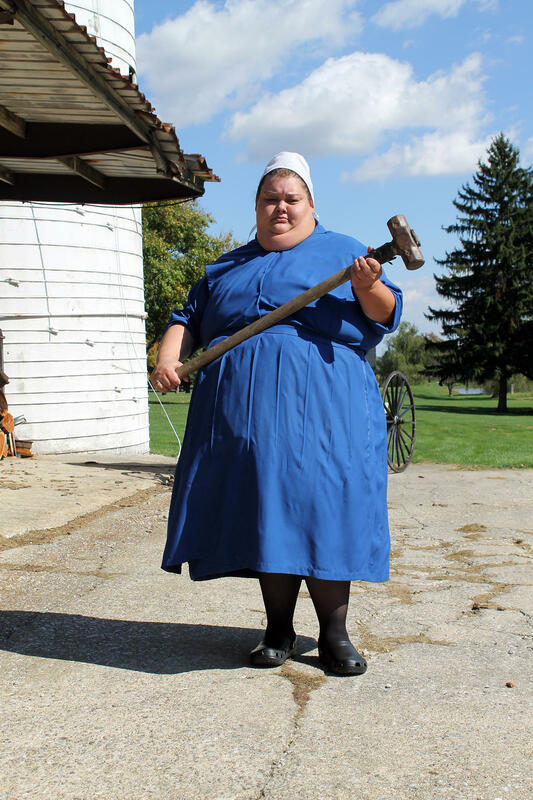 She has found a partner and is ready to help Merlin in all his endeavors, especially helping highlight the reality of what goes on in the Amish world.